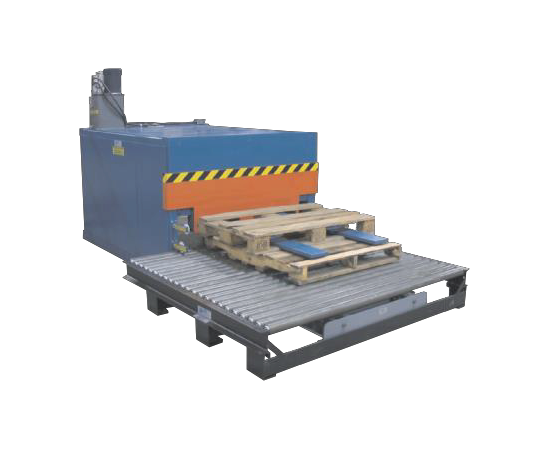 Systec's Pallet Handling Device (PHD) is a safe and efficient method of dispensing pallets. Systec's PHD is a self-contained unit, with all pneumatics and electrical controls housed or attached with the device. This is especially beneficial should the device need to be relocated. Allows for variation of pallet types and sizes for automatic despensing.